I’ve been pretty happy with my current skincare routine for a few months now, but with those products starting to run out I thought it was worth seeing what else was out there. This hand cream gets rave reviews. 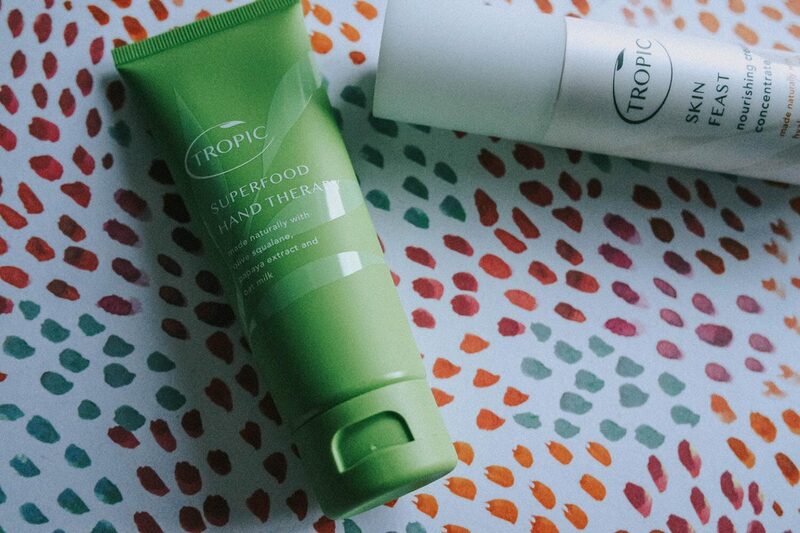 Whenever I asked anyone if they had tried Tropic skincare, if they had, they said to try the hand cream. 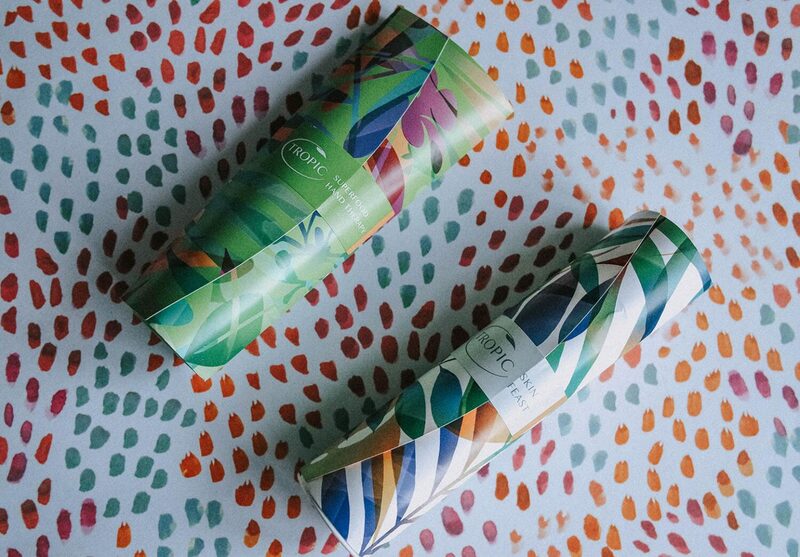 I’ve never been a big user of hand cream but since having my son and washing bottles constantly my hands have been really dry so sometimes even a little sore on colder days. I find most hand creams sticky, especially the really thick ones, but this is a very light cream that you only need a very small amount of. The smell is also amazing. I love the fresh citrus scent. The smell does linger but if I’m honest that’s not a bad thing when it’s this lovely. Like my favourite Temple Spa cream this has more of a gel consistency and a single pump will do for your whole face. It smells very rich, so I expected it to be very heavy, but it isn’t. I use this day and night along with a serum and it soaks instantly into the skin. The only slightly off-putting thing about it, and I know this sounds daft, is the colour. It’s a very “natural” yellow and I’ll be honest when pumping a bit out it looks a bit like puss… I know, not exactly pleasant, and a little weird, but still slightly unpleasant in those few seconds before you massage it into your skin. It’s not that off putting however since it’s definitely one of the best moisturisers I’ve tried. 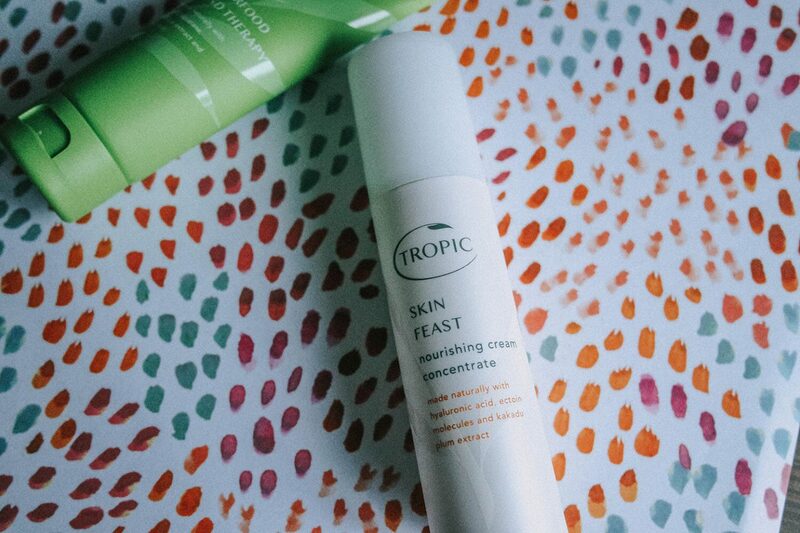 I’m really pleased with the items I kept, they have fitted in well alongside my existing products and I would definitely consider trying some of Tropic’s other products. 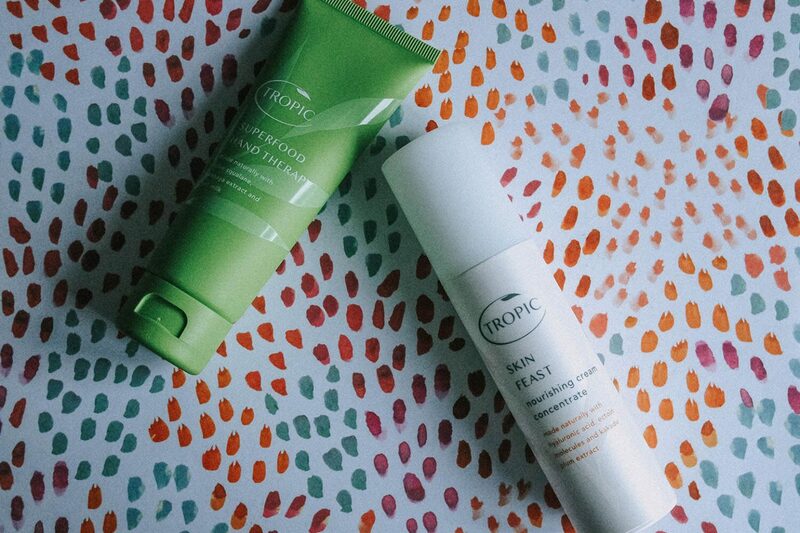 What Tropic products have you tried? are there any that you use regularly and would recommend?